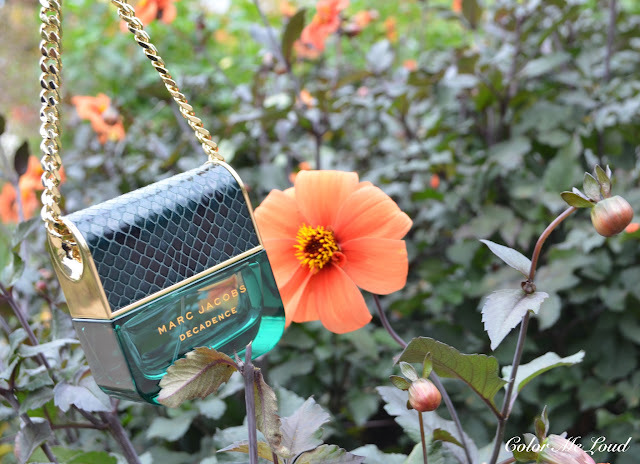 Marc Jacobs Decadence Eau de Parfum opens up with a very unique and inviting way. I would describe it as being warm and pleasant as well as attention taking. The first whiff is not very sweet although a touch of plummy fruitiness is definitely there. As the earthy tones of Saffron fade away, Decadence takes on a sharper note and starts getting sweeter, more floral and gradually more ambery. The floral heart consist of elegant rose and sensual jasmine as well as a touch of vintage iris. The lovely flowers are planted on a sweet green woody base of Vetiver and Amber. Decadence lasts me all day and night on the skin and even longer on the clothes. It has a superb longevity, yet it is still wearable for day with its pleasant sillage although I think many would classify it as an evening fragrance. It is a touch powdery and feels more man-made than natural which is a certain way of aesthetics. It makes me think of a tight and long jersey dress with high heels. I love the direction Marc Jacobs perfumes took with Decadence, it is definitely more unique, richer and much more interesting. And that flacon.... *happy sigh* Super pretty and christmassy. 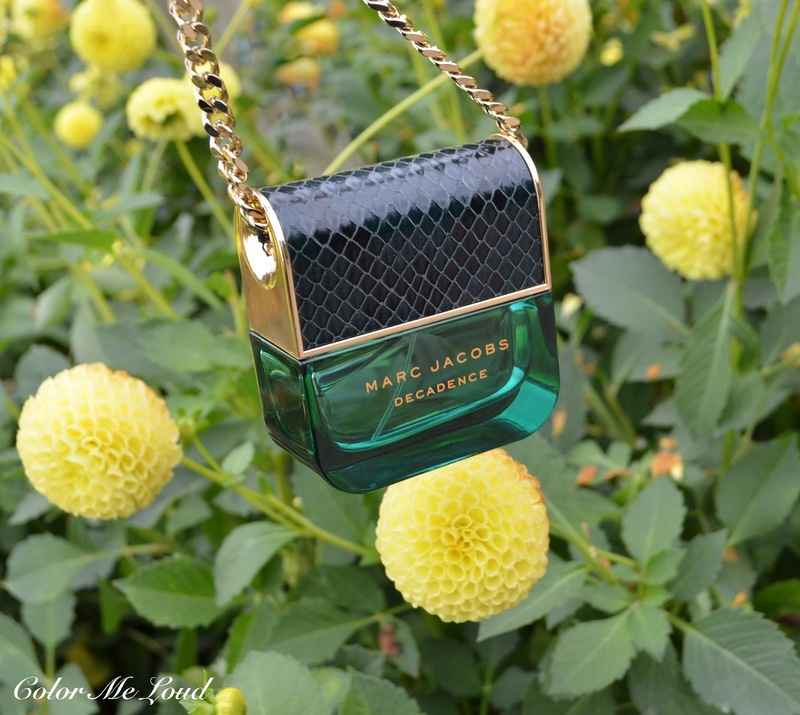 Final thoughts: A little sweet, ambery, very inviting and sensual and very unique and noticeable although wearable and long lasting, the new perfume of Marc Jacobs line, Decadence is something you need to check out. To me the flacon is so pretty that one doesn't even need to describe the perfume. This definitely goes to my holiday gift guide recommendations, especially for woman who are into perfumes with a character. 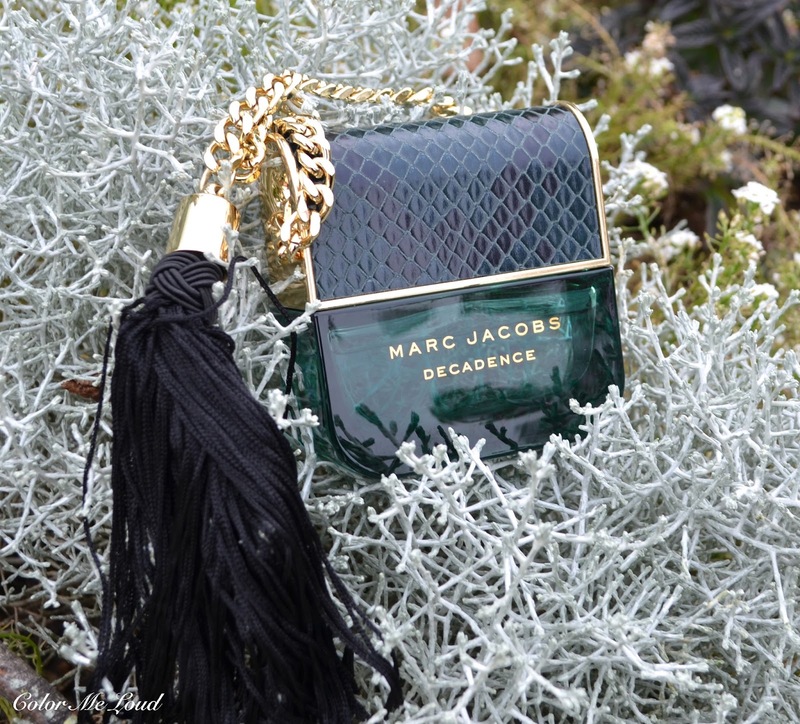 Price/Availability: Marc Jacobs Decadence Eau de Parfum comes in three sizes, 30 ml, 50 ml and 100 ml although black tassel is only included with 50 ml and 100 ml flacons. For those who are in Europe, the prices are around 50€, 71€ and 94€ respectively e.g. at Flaconi (not affiliated). There is also a lovely shower gel (150 ml, 36€) and body lotion (150 ml, 37€) which improve its already impressive longevity. Oh by the way, I will be giving away a 50 ml Marc Jacobs Decadence Eau de Parfum and 150 ml body lotion in December, so stay tuned for that. How do you find the idea of a perfume shaped like a handbag? That bottle is gorgeous. I don't care what it smells like; I want it just for the packaging! Oh, the notes sound like this is a fragrance I'd like. And the packaging - so so so cute!! I'd buy it for the bottle alone! But the scent sounds beautiful too. Don't get me started on post restrictions! Nail polish, perfume, certain hair products, aerosols etc etc. Like you have said, people travel with these items either in luggage or carry on.... so what's the big deal? Le sigh. This adorable!!! I have absolutely no idea how it'll fit on my crowded shelf with everything else, but it is so unique and gorgeous! I know right, the bottle is so gorgeous! These restrictions are everywhere but usually they offer an alternative. For example in the States, the nail polish can only be transferred via ground shipping, which should be fine. It comes a little late but they donate end up destroying things in UK *sigh*. Now the package is on its way it seems but they destroyed the nail polishes. I am imagining people wearing bomb clothes and destroying a bottle of nail polish hahaha. what a waste of resource and time. Hahaha this sounds like a "too much perfume" problem. This one is different than other MJs but still a bit sweet so check it out and let me know if you like it. I usually don't prefer sweet fragrances but there is something about this one. Lethal bottles of nail polish cracked me up so bad. I was fantasising about security guys in bomb costumes and approaching the bottle of nail varnish hahaha. Hi Jess, exactly this was what I thought. I don't care how it smells like, give me the bottle! Haha, what a sight!!! No doubt a lot of customs officers wives and g/fs get lots of nail polishes and perfume .... hmm.